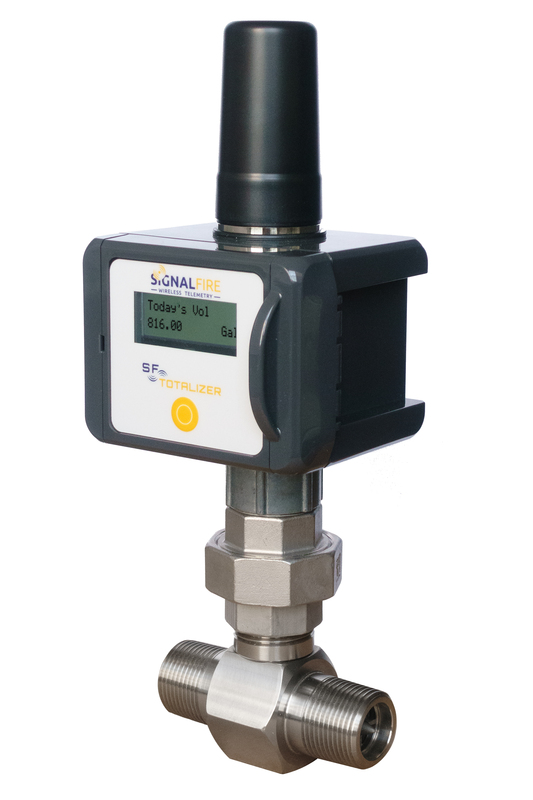 SignalFire Wireless Telemetry introduces a new Intrinsically Safe Wireless Flow Totaliser that connects to industry-standard inductive turbine flow meters (such as the AW-Lake TW Turbine) to measure, locally display, wirelessly transmit and archive flow measurements. Data and diagnostics are available locally using the display as well as remotely from a SignalFire Gateway using Modbus standard protocol. Enhancing new or existing turbine meters with wireless data management capabilities, the SignalFire Flow Totalizer is suitable when an operator must check flow rates or totals in addition to tracking data in a SCADA system. For example, when offloading a tank, a local technician can use the Wireless Flow Totalizer to measure before/after totals of pumped fluid. Using an external pushbutton, workers can cycle through a backlit LCD display to get appropriate readings for flow and total. Featuring a built-in user-configurable, real-time clock for daily contract hour setting, the Flow Totalizer maintains an internal 30-day log of daily flow totals for historical analysis or backup storage. Units are battery-powered for long life (5+ years) and require no external power supply. Enclosed within a weathertight, high-strength polycarbonate housing that withstands outdoor elements, the Intrinsically Safe Wireless Flow Totalizer is hazardous location classified for Class 1, Division 1 safe operation. Easy to install and maintain, units are suitable for use in the oil and gas, metals and mining, water and wastewater, chemical, power, food and beverage, pulp and paper, aerospace and pharmaceutical industries.